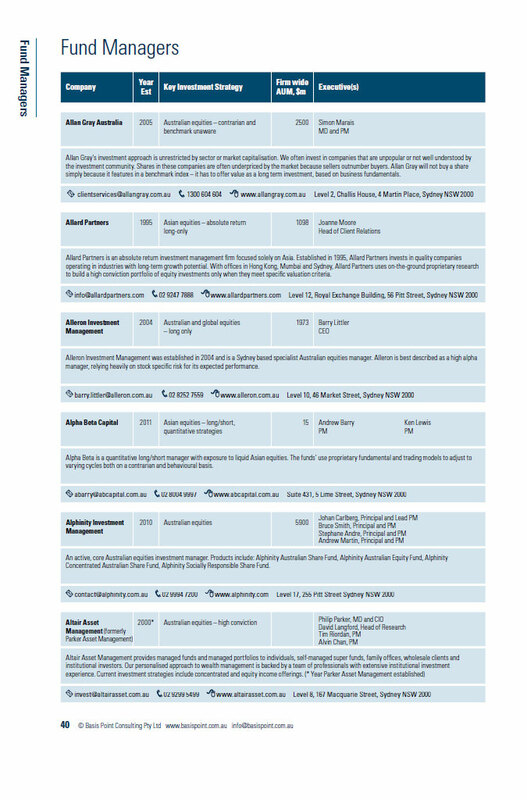 The directory profiles 209 investment management firms that are fully or partly owned by their staff, as well as listed investment companies and specialist alternative investment managers including hedge funds. 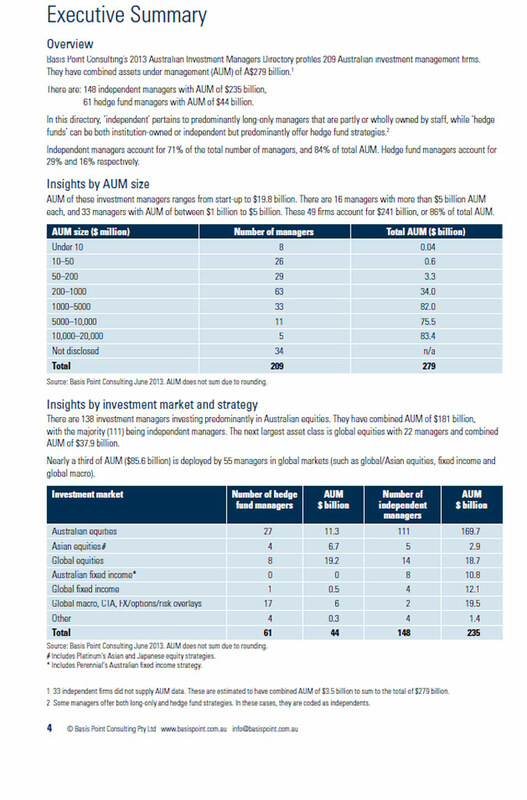 These 209 investment management firms control approximately $279 billion, (US$252b). 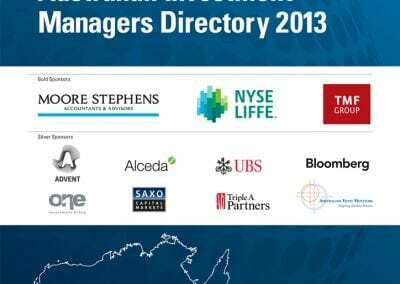 The directory identifies 148 independently-owned managers (predominantly long-only, benchmark-unaware strategies), and 61 hedge fund firms. 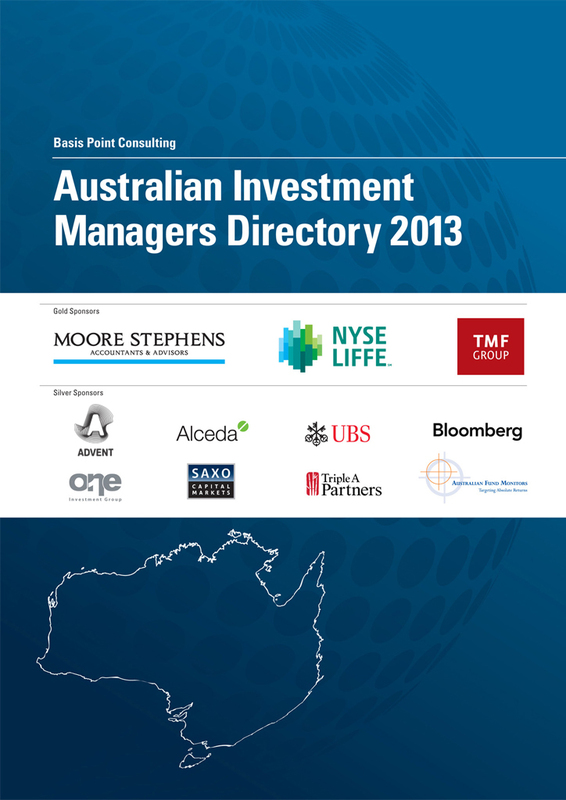 The 76-page (hard-copy only) directory has 35 pages profiling each of the 209 managers. 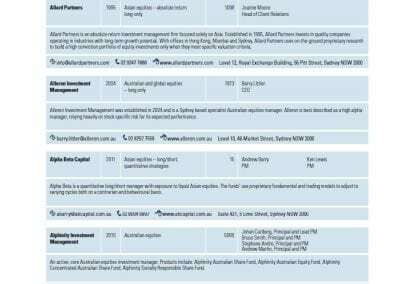 There are also details on 42 service providers (brokers, fund admin, operational, software/data/IT, business services) and global managers marketing into Australia. 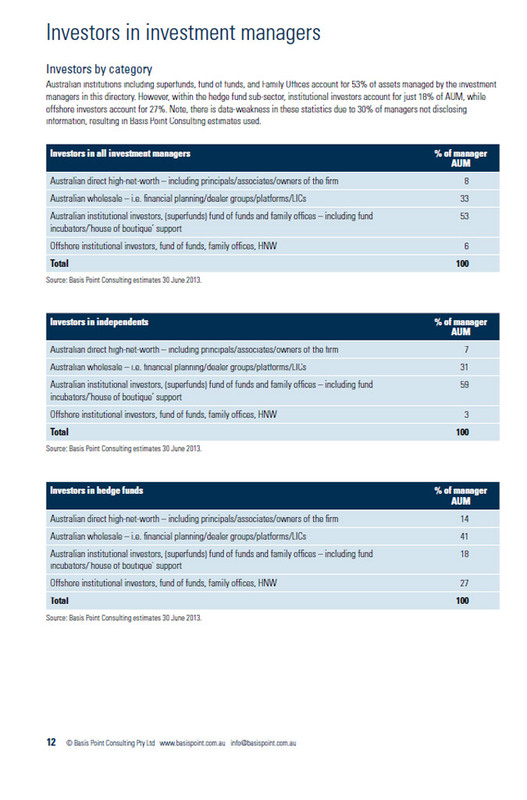 In addition, there is qualitative and quantitative analysis on Australian investors including super funds, SMSFs and high-net-worth investors. Silver: Advent Software, Alceda, Australian Fund Monitors, Bloomberg, One Investment Group, Saxo Capital Markets,Triple A Partners and UBS. Sample pages (for the 2013 version) are available below. 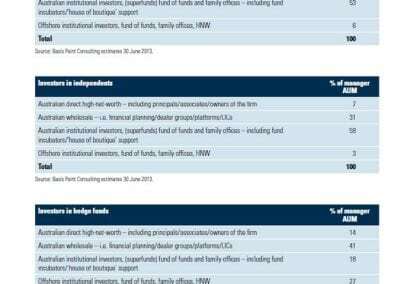 Notes: The directory excludes private equity, real estate, and infrastructure investment managers, & fund of funds. 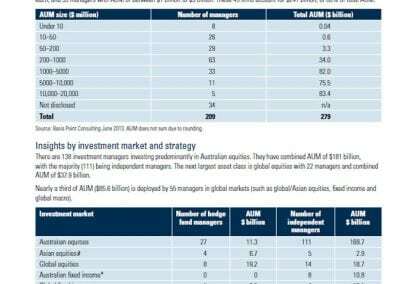 It also excludes investment management firms owned by institutions except where they deploy hedge fund strategies from Australia. If you wish to purchase this directory please send us an email or fill in the form below and click the submit button.